Bed bugs are not a great house guest. They show up uninvited and feed on the family. Today’s blog is continuing to explain some great methods to prevent scarring from bed bug bites, in the event you come in contact with these blood-sucking creatures. However, we hope that a professional round of bed bug prevention lets you avoid this advice. Call us today for more information. Following washing the bites and treating them with antibacterial and hydrocortisone creams, apply these tips to prevent scarring and incessant itching from bed bug bites. Should you want to stop the itching immediately but don’t have any antibacterial or hydrocortisone creams at home, you can use honey as a replacement. The honey reduces inflammation, which is usually the cause of itching. This product is widely used to reduce itching for children with Chickenpox, so why not apply it to a different source of itching? Calamine lotion soothes the bite and discourages the urge to scratch. We recommend keeping a travel size bottle of Calamine lotion when you stay away from home in case a motel is infested with bed bugs. The natural healing properties of Aloe are commonly welcomed for a sun burn, and it has similar healing characteristics for insect bites. It provides pain relief. Stay tuned for our next blog to learn even more tips on how to prevent bed bug bites from scarring. 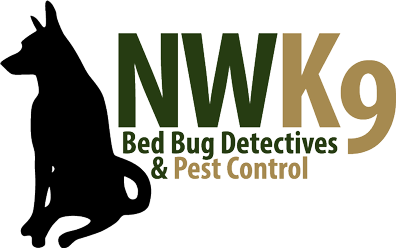 Ultimately, the best course of action is to arrange professional bed bug prevention to avoid these methods altogether.